Breckenridge Main Street Art Festival – July 29 – 31, Breckenridge. 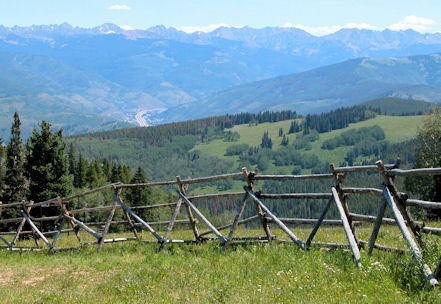 Collegiate Peaks Music Festival – July 28 – 30, Buena Vista. 40th Annual Carbondale Mountain Fair – July 29 –31, Carbondale. Rocky Mountain State Games – July 29 – 31, Colorado Springs. More than 10,000 athletes compete in over 34 sports. Crowley County Days – July 30 & 31, Ordway. Colorado Dragon Boat Festival – July 30 & 31, Denver. Denver County Fair – July 28 – 31, Denver. First ever, held at National Western Complex. 76th Annual Durango Fiesta Days –July 27 – 31, Durango. Evergreen Jazz Festival – July 29 – 31, Evergreen..
Dinosaur Days – July 29 & 30, Fruita. Buffalo Bill Days – July 28 – 31, Golden. Arts Picnic – July 30 & 31, Greeley. Weld County Fair – July 27 – August 1, Greeley. San Ignacio Fiesta – July 30 & 31, Ignacio. Colorado Renaissance Festival – July 30 & 31, Larkspur. Last weekend for the 2011 festival. National Little Britches Final Rodeo – July 25 –30, Pueblo. Vail International Dance Festival – July 31 – August 13, Vail. Crankwork Colorado – July 28 – 31, Winter Park. Wray Daze – July 28 – 31, Wray.